Are Herbs and Spices Gluten Free? As flavorings, extracts and and oils add lots of flavor to recipes for candies, frostings and baked goods. 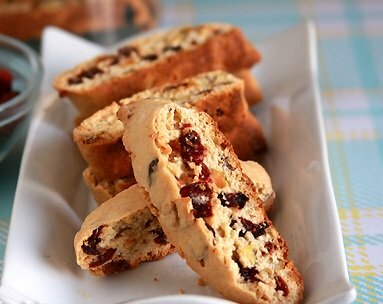 Substitute butter pecan flavoring for the vanilla in your Biscotti recipe and Voila! 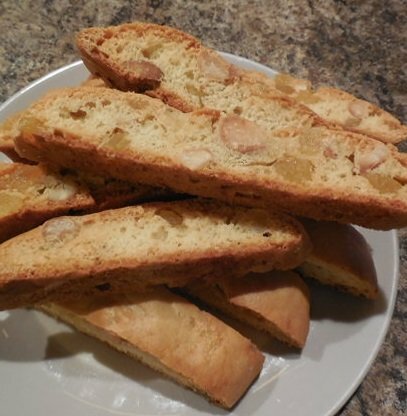 It's Butter Pecan Biscotti. More often than not, recipes will direct us toward using an extract, like peppermint extract, over using flavoring oils. But if you shop any major market I'm sure you have seen tantalizing bottles of flavoring oils on the shelf. Ever wonder what the difference is and when you might use those oils instead? Flavoring extracts are usually made by literally extracting the flavor of the source ingredient into a liquid base, which is usually alcohol. We tend to use extracts in our everyday baking where the flavor is playing a supporting, rather than a starring, role. For example: vanilla in a batch of cookies or the peppermint flavor in brownies. Flavoring oils, on the other hand, are the essential oil squeezed from the ingredient itself like the oils from the vanilla bean, oils from the almond nut, etc. Oils are much more concentrated and intense than their extract and their flavor is often more pure and clear-tasting. The oils are really fantastic when you want that specific flavor to really shine through. Flavoring oils and extracts can be easily substituted for one another in most recipes. Since flavoring oils are so much more concentrated, you only need a few drops in place of a teaspoon of extract. Note: Flavoring oils are usually less shelf-stable than extracts. They have to be rrigerated after opening and will eventually go rancid. For this reason, only buy oils that you'll be sure to use up within a few months. Look for flavoring oils at gourmet food stores and well-stocked kitchen stores, if you can’t find them there, you can certainly find them online. While the terms herb and spice are used interchangeably by cooks and in cookbooks, there are distinct differences between the two. It all depends on what part of the plant is used. In the culinary arts world, spice refers to any dried part of a plant, other than the leaves, used for seasoning and flavoring a recipe. Sometimes a spice is used to hide other flavors. Spices are distinguished from herbs, which are parts of leafy green plants also used for flavoring or as garnish. Examples of Spices: Cinnamon is the bark of a tree. Cardamom is a seed pod. Allspice is a dried berry. Cloves are dried flower buds. These are all examples of spices. Note too that spices are used in dried form while herbs can be used either fresh or dried. TIP: Spices start to lose their flavor once they are ground. So whenever possible, grind your own spices just before using them, rather than using spices that are already ground. You can use a coffee grinder or mortar and pestle for this purpose. not an herb, because spinach is prepared as a food itself. Another example would be lettuce, which has a leaf, but when you make a salad, the lettuce is the main ingredient, so lettuce isn't an herb either. Examples of herbs, are basil, parsley, rosemary, thyme and oregano. Note that for each of these, we're talking about the green or leafy part of some kind of plant. In the case of basil, the leaves can be quite large, whereas rosemary leaves or more like spines. Still, they're the leafy or green part of the plant and thus an herb. There isn’t much flavor benefit to grinding herbs, sine the most dried leaves are thin and leach out flavor quickly in the finished good. That is unless the recipe calls for rubbed version of the herb, in which case you can grind the same as for spices. 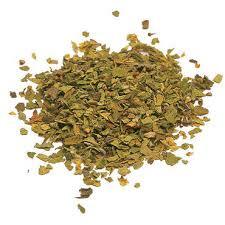 Check Color.....Green, leafy herbs will often fade as they age. 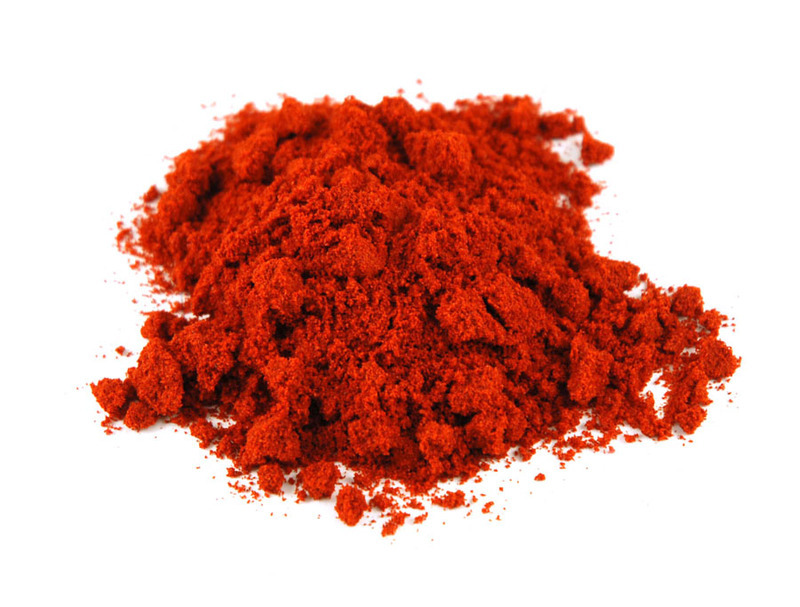 Red spices such as paprika, red pepper and chili powder will turn brown in color. Check Aroma.....Place a small amount in your palm and gently rub with your thumb. The aroma should be rich, full and immediate. If not, it's probably lost potency. For whole spices, break or crush to release their full fragrance. Then scrape with a knife or grater. Herbs and spices are some of the least expensive ingredients in any entree. So if you question their freshness, it's worth it to replace them. This applies to all extracts and spices. Store properly.....Store herbs and spices in cool, dry surroundings, away from direct light, heat or humidity. Keep in airtight glass jars and close tightly after each use. Are herbs, spices and extracts gluten Free? Herbs and spices are simple. They are usually ground, shredded or whole seeds or leaves. No gluten there, right? Well, not so fast. While bottled herbs and spices that contain just one ingredient are almost always gluten-free, there are a few secret sources of gluten that may be lurking in your spice cabinet. If you're particularly sensitive to trace gluten, you might want to stick with products that carry gluten-free certification. Because there are exceptons that you need to looked out for. 1st,would be spices that are diluted with a filler, often which is wheat flour. An example of this would be Asafetida , a common spice in Indian cooking, that is ground from of dried gum of a root called ferula. Although the powder is naturally gluten-free, it is almost always manufactured by diluting it significantly with wheat flour. 2nd would be spice mixes, which are combinations of herbs and spices, along with monosodium glutamate (MSG), maltodextrin, and wheat flour. Many Taco seasonings, Cajun seasonings and other spice blends contain wheat flour. Luckily, gluten-free replacements are always available, you just have check the labeling to make sure. And the 3rd situation that can lead to herbs and spices not being GF would be cross-contamination. If you purchase your herbs and spices from bulk bins or jars, be sure the store hasn’t previously stored spice mixes (taco seasoning, Cajun seasoning, etc.) or asafetida in the same bin or jar. Bulk containers are not always cleaned well, they can be difficult to clean completely. And when it comes the manufacturing and process of the herb or spice there is always the possibility of cross-contamination if the manufacture also process wheat products. Soooooo! 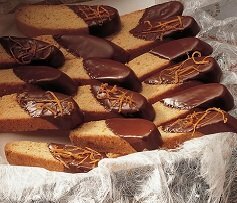 The general rules about gluten-free shopping apply when shopping for Extracts and Spices. Read labels, and know which brands are reliable about avoiding cross-contamination and labeling any and all allergens.